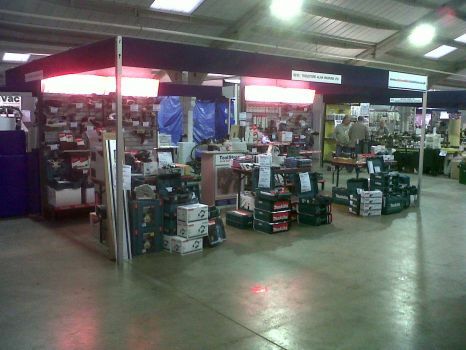 Come and see us in our showroom or at one of the many shows we exhibit at across the country. 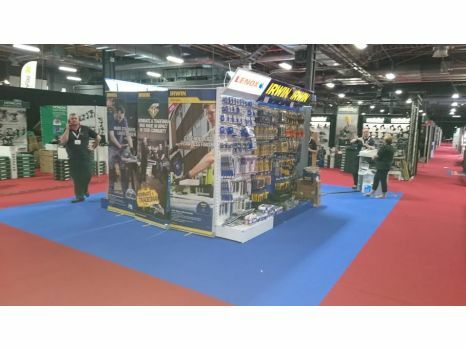 We want to meet you and we are all keen to hear your feedback of our website and service and keen to meet our loyal customers. 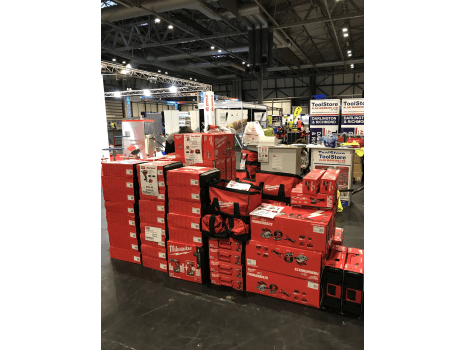 We like to be more than just a web company and we are more than just supplying boxes, so please come and see us. 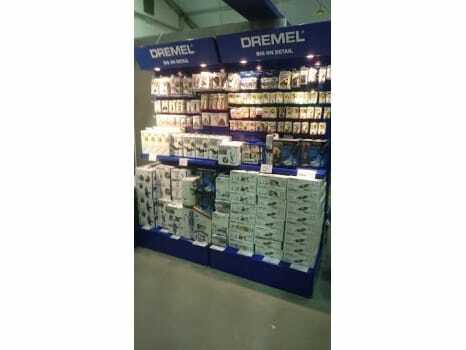 See and feel the product and enjoy special show prices. 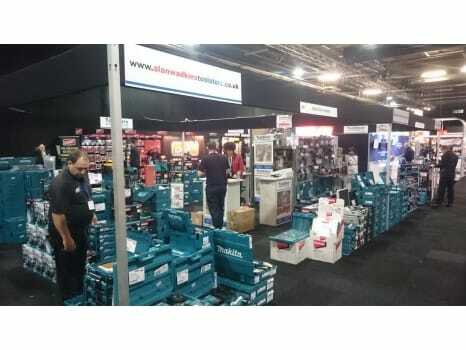 January 8th and 9th LAMMA Show with Milwaukee. 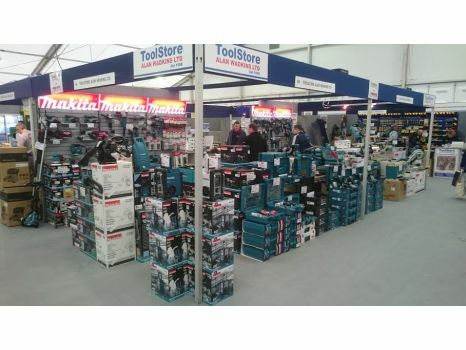 March 14th and 15th Toolfair Manchester with Makita. 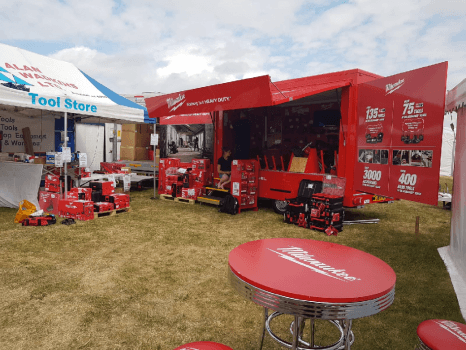 March 29th BigRed2 Milwaukee Truck Tour at Darlington Shop. 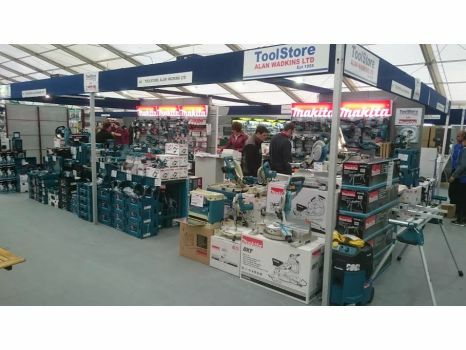 May 23th and 24th Toolfair Harrogate with Makita and Festool. 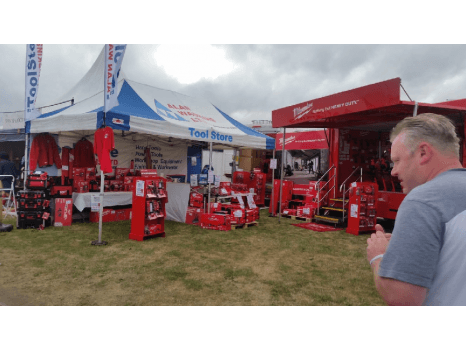 July 9th - 11th Great Yorkshire Show with Milwaukee. 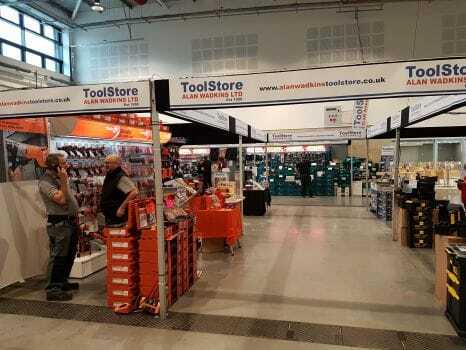 November 7th and 8th Toolfair Sandown with Stabila and Toughbuilt. 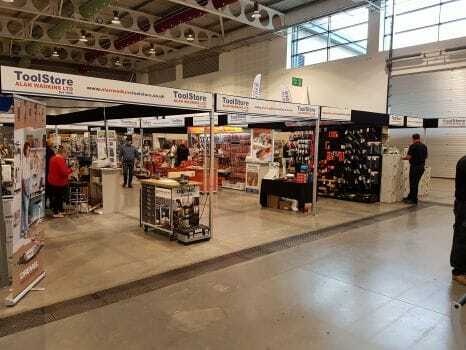 November 15th - 17th Woodworking Show Harrogate brands to be advised. 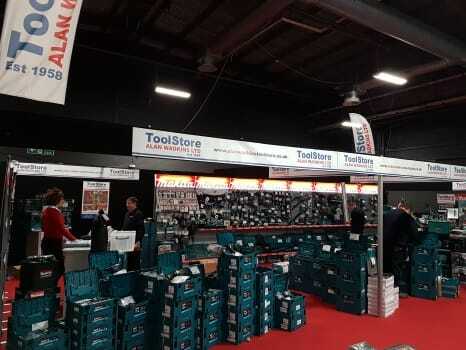 Exhibition March 15-16th Toolfair Manchester with Makita power tools and accessories, Bosch power tools. 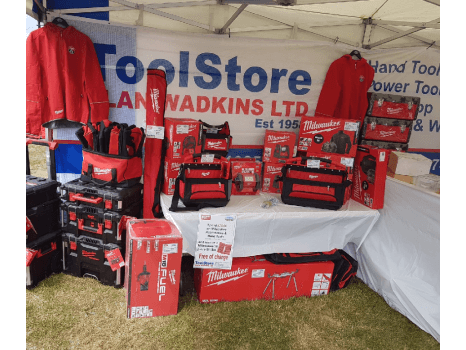 Exhibition May 6th-7th Truckfest In Peterborough with Sealey. 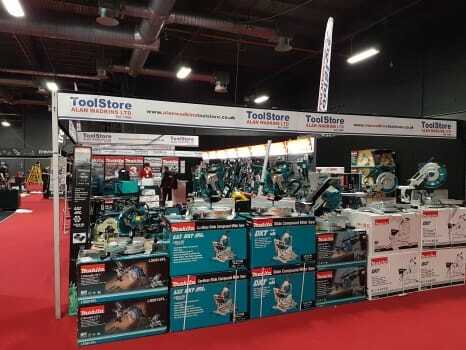 Exhibition June 14th-15th Toolfair Harrogate with Makita power tools and accessories, Festool power tools and accessories, Fein power tools and accessories, Bosch power tools and power tool accessories. 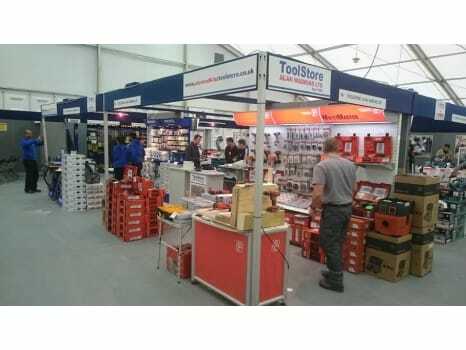 Exhibition July 10th-12th Great Yorkshire Show Harrogate With Milwaukee power tools and accessories. 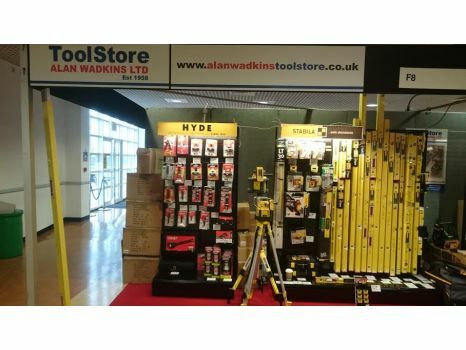 Instore Event full month of September Beta Bonanza discounts available in store, pop in for details or call us on 01325 464452. 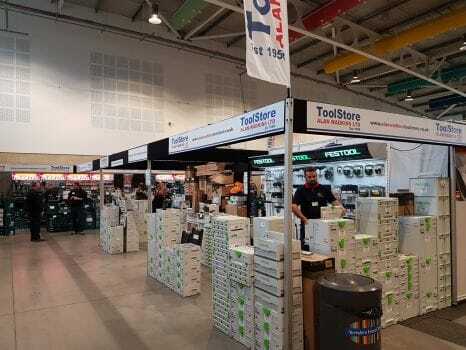 Instore Event September 28th Festool Demonstration & Discount Event, event only special offers and Festool demonstrations available throughout the day 8AM - 5PM. 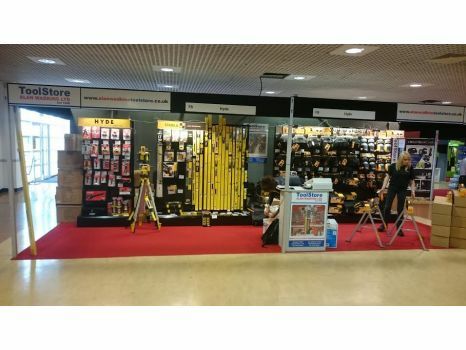 Exhibition November 1st-2nd Toolfair Sandown with Stabila levels and lasers, Toughbuilt tool belt system. 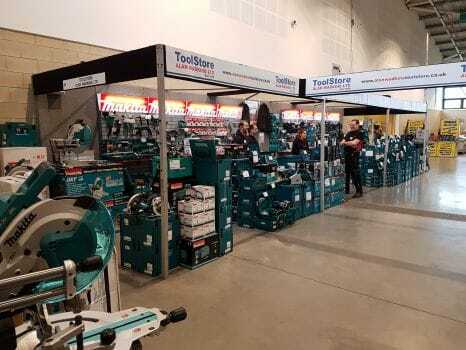 Exhibition November 16th-18th Woodworking Show Harrogate with Makita power tools and accessories, Festool power tools and accessories, Fein power tools and accessories, Dremel tools and accessories and Irwin hand tools and power tool accessories. 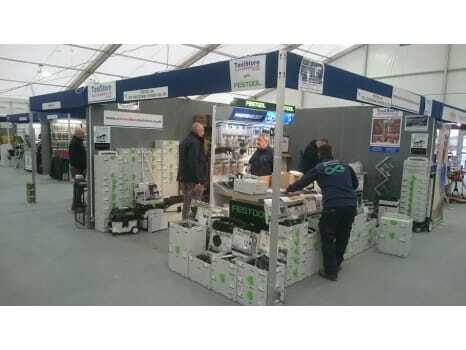 Instore Event December 6th Festool Day. 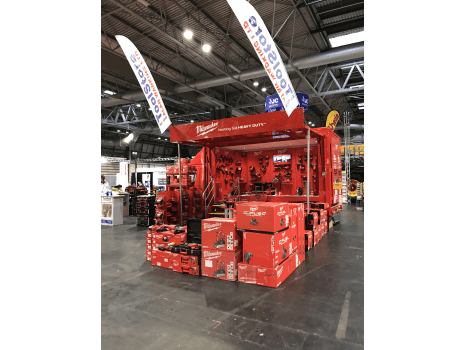 Lamma Jan 2019 at the NEC Birmingham, a few photo's of the stand we had there with Milwaukee. 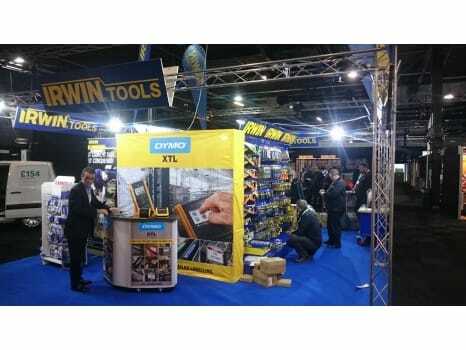 Some of our stands at the exhibitions we go to. 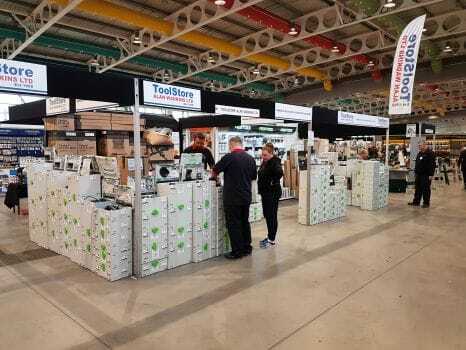 The first 7 photos are of the stands we had at the Woodworking Show in November 2018 in Harrogate. 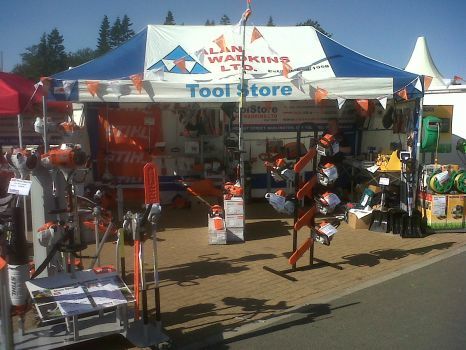 Showing our stands at the various events we go to. 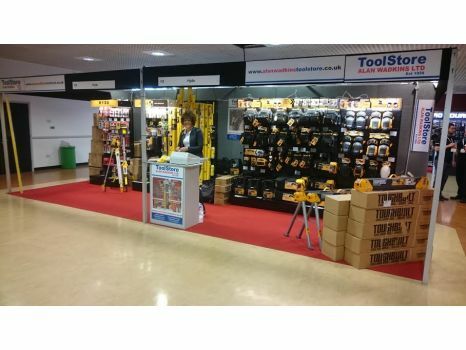 Below are some images of the stands we had at Manchester Toolfair. 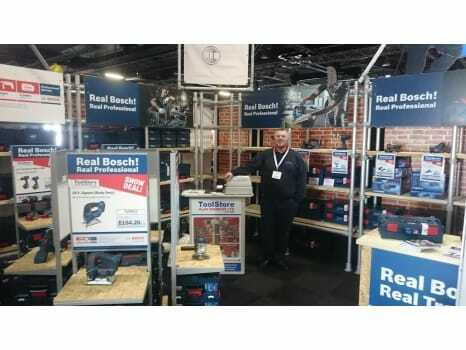 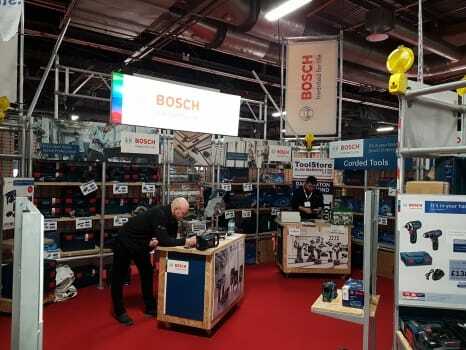 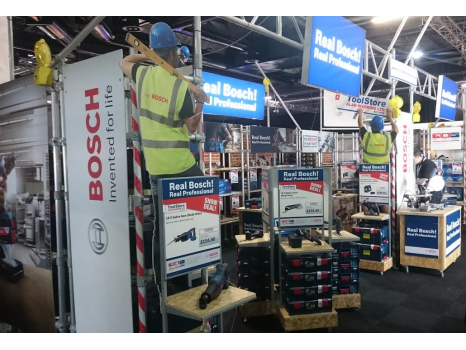 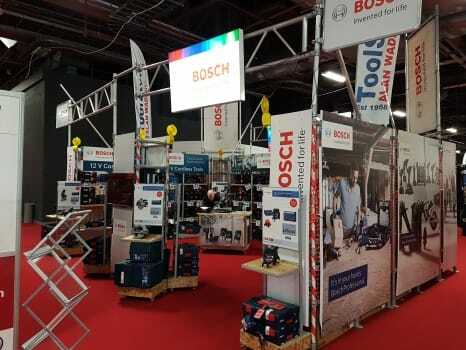 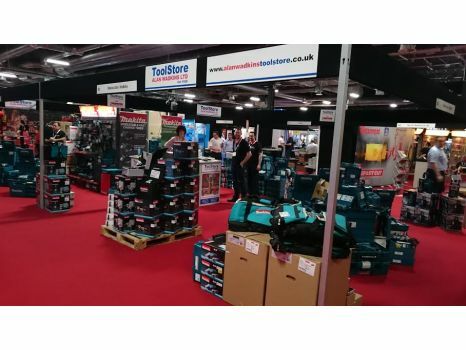 Manchester Toolfair 2018 We were there with Bosch and Makita. 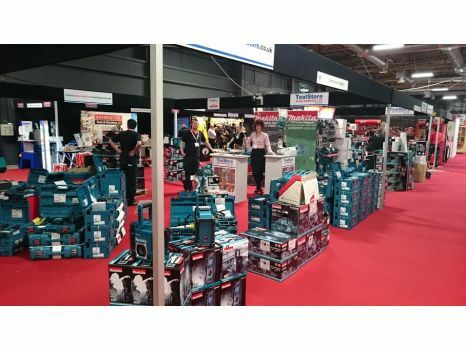 Attached is some photos of the stands. 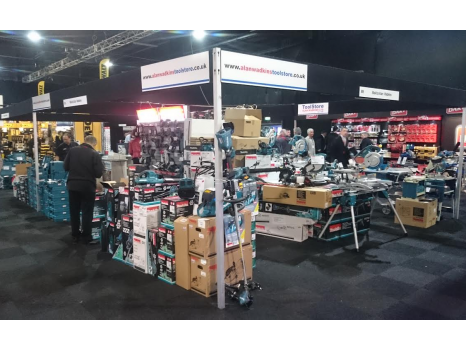 Here are some of the images from the last show that we were at in Harrogate the Woodworking Show in November 2015. 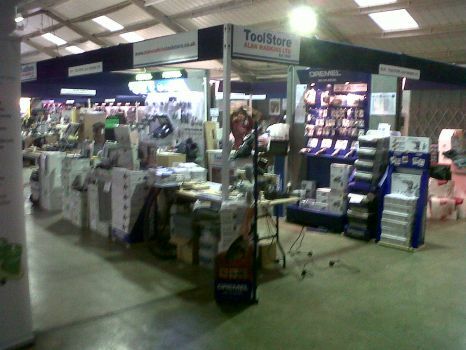 These were taken whilst we were finishing setting up the stands before everyone arrived. 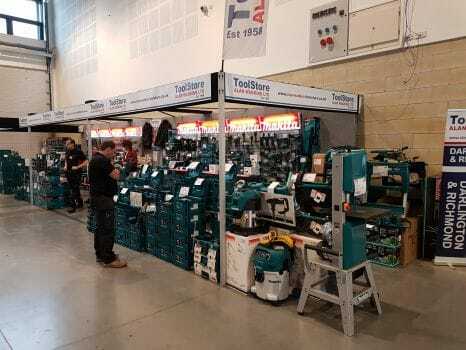 We had a large square stand with Makita on one side and Fein and Dremel on the other, we also had a seperate Irwin stand and a seperate Festool stand. 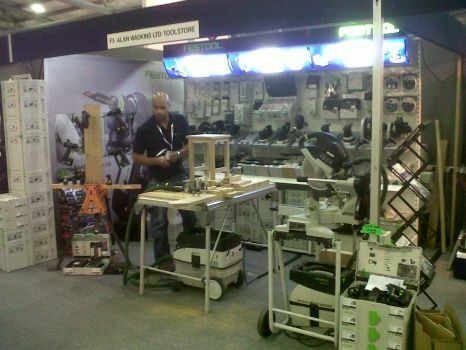 Below are some photos taken from a previous Woodworking show in Harrogate where we had Makita, Festool and Dremel. 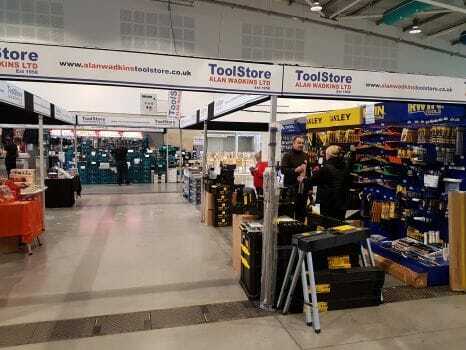 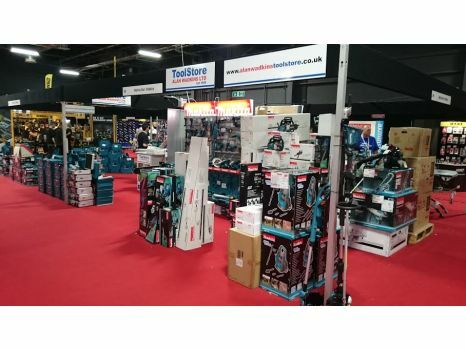 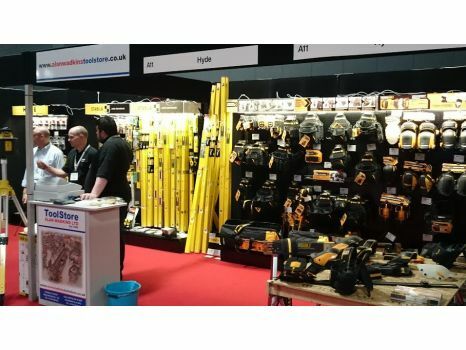 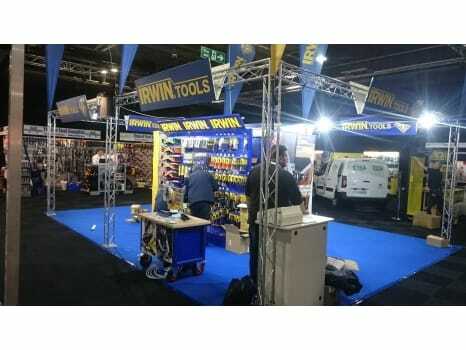 The photo's below are from the Manchester Toolfair in 2015 where we again had a large Makita stand, an Irwin stand and a stand with Toughbuilt and Stabila. 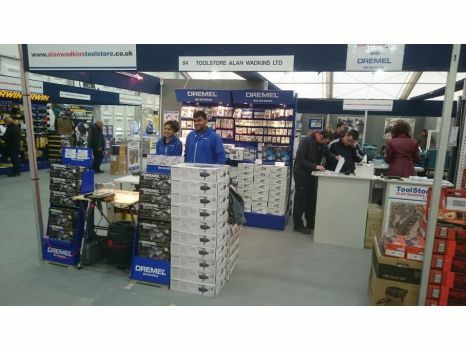 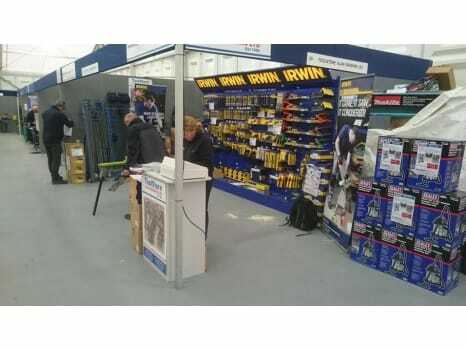 The stand at Sandown where we were there with Stabila spirit levels and lasers and Toughbuilt belts, bags and knee pads. 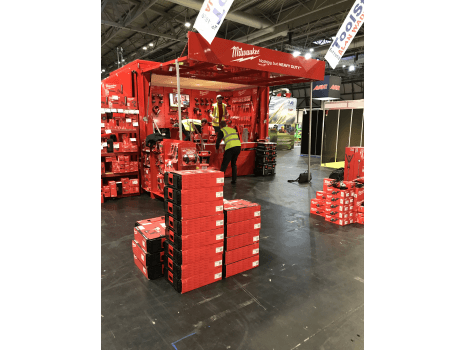 Doing the final touches again before the show opens. 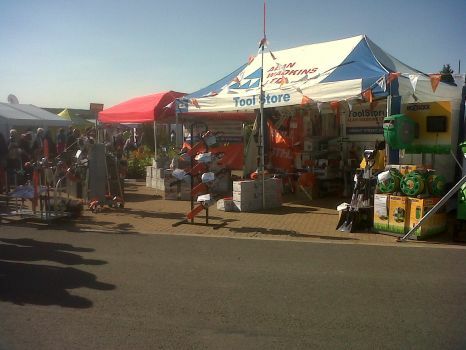 Below are some photo's from a previous outdoor Flower Show in Harrogate. 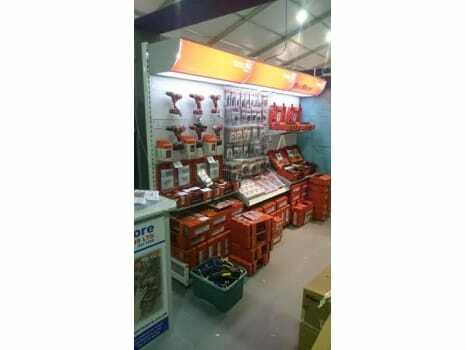 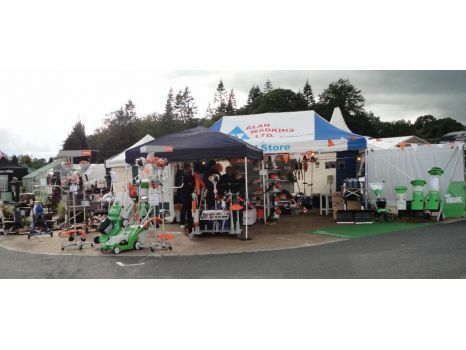 We took a range of outdoor machinery and garden equipment.